How do people celebrate St.Patrick's Day? St.Patrick’s Day is the most commonly religious holiday celebrated on 17th March, by the Irish people, Catholics and non-Catholics around the world. 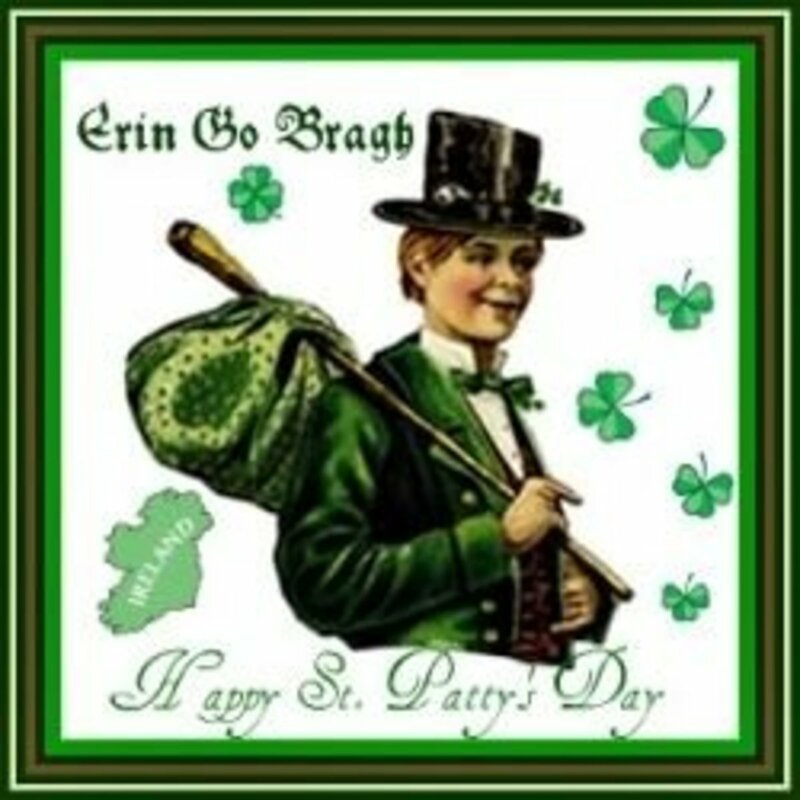 In western countries where Irish population are large in numbers, St.Patrick’s Day is celebrated in a grand way, regardless of race, religion and no matter what skin color they are. People celebrate together with rowdy parades along the streets in big cities, gather together in pubs and bars with lots of music, dances and lots of beer consumption. It has become a tradition to wear or use green items and clothes to signify St.Patrick’s Day. Besides that, people feast of Irish food, organize fun activities for children to enjoy such as kid’s crafts, coloring contest and indoor or outdoor games which are related to the green theme. If you want to know more about patron saint’s life, here is the story..
Where do you go on ST.Patrick's Day? To the pubs and party ! 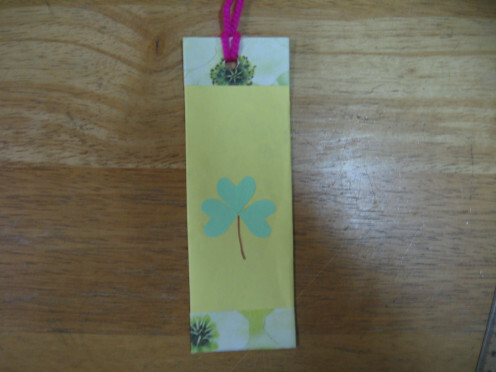 Get your kids to handmade a St.Patrick's Day bookmark by making a shamrock ( clover ) shape as the main theme. You can use a real, dried shamrock leaf, printed leaf or hand drawn with coloring. Use green things and go green on St.Patrick's Day. It is similar to Earth Day, wearing green clothes, wear green hats, bake green cakes and muffins and eat more greens on this special day. Lamb stew is a warm dish for the whole family. A traditional recipe that Irish people had brought along to their places in the world. Let us wear Green St.Patrick's Day T-Shirt!! 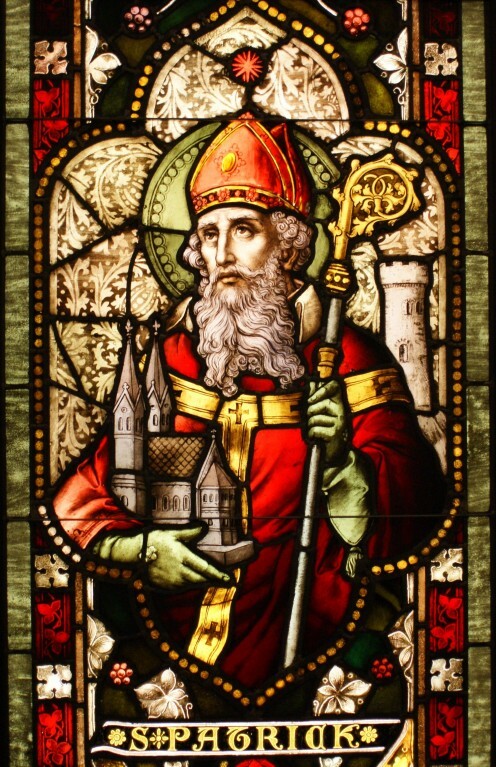 St.Patrick was born in Roman Britain, belonging to a wealthy family. At age 16, he was kidnapped by Irish marauders and was sold as a slave to a cruel chieftain, located at Antrim in Ireland. For the past six years of his life, St.Patrick started to chant prayers while looking after his master’s flock. Thus, the constant prayers slowly lead him nearer to God. According to his Confession, he was told by God in his dream to flee from his captivity to the west. He escaped from his cruel master, travelled by foot for 200 miles before he found a ship and boarded it which had sent him to Britain. Upon returning his country, he promptly joined the church in Gaul and studied to be a priest. In year 432, he had a second dream that God told him to return to Ireland in order to christianise the Irish people. No one had ever preached Christianity in Ireland before, which gave St.Patrick the golden chance to be the first patron to start preaching. He managed to gain the trust of the people , baptized more than 120,000 people and built more than 300 churches. 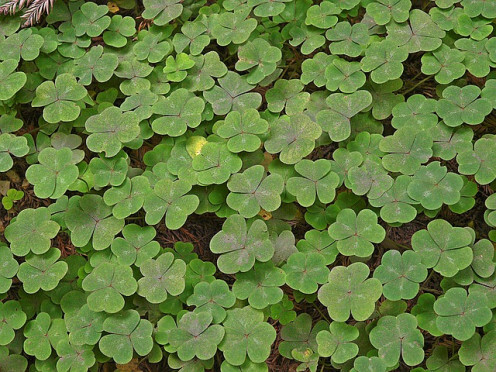 It is believed that one of the unique method that he taught Christianity was using the shamrock, a clover leaf to preach the Trinity, The Father, The Son and The Holy Spirit. He died on 17 March year 461 and that is how St.Patrick’s Day was formed, a day to remember him by offering prayers for missionaries worldwide and hold celebrations for St.Patrick who was the patron saint whom brought the arrival of Christianity to Ireland. Plans I have in mind. Being a Christian believer myself, I planned to celebrate this special event in a more cost saving way, rather than having fun at pubs and bars with loud and rowdy people. Too noisy for me. You can celebrate St.Patrick's Day at home where activities related to green color are involved. You don’t have to purposely purchase green clothes with St.Patrick’s prints. Don’t waste money on clothes, unless you are planning to hangout at the pubs and bars. 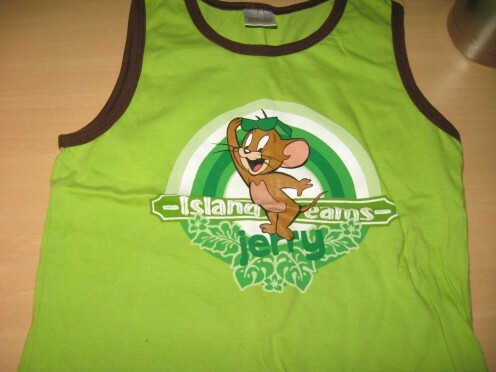 In my case, my toddler has a pair of green “Jerry Mouse ” singlet that matches with a green short which I bought last year. 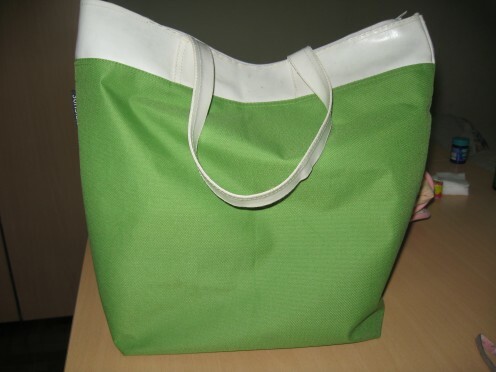 I will be shopping for groceries later on and I have a green recycle bag with white handles. 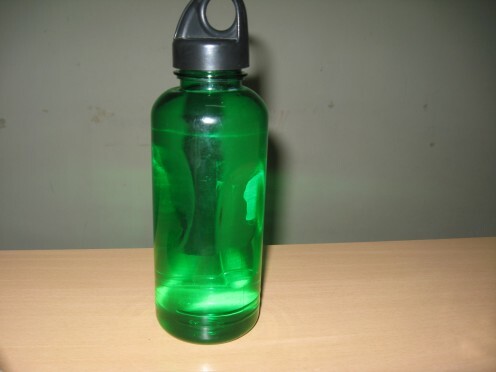 At the moment, the weather is hot, so I will be bringing along my green water bottle which was a free gift from Milo beverages. In addition, I owned a pair of green sneakers with white prints, that I had bought during the shoe warehouse sales last Christmas. Needless to say, for those working adults, you can wear working attire that goes with green color such as a tie, a scraf, a long sleeve shirt , a pair of ear rings and maybe cufflings on your collar. Children with a great collection of button tags, badges or key chains, sort out the green ones and hook them up to your children school bags, your handphones or your car keys. It doesn’t matter if your clothes, bag, shoes comes with other colorful patterns. As long there is green, you are “IN ” for the St.Patrick’s Day celebration. 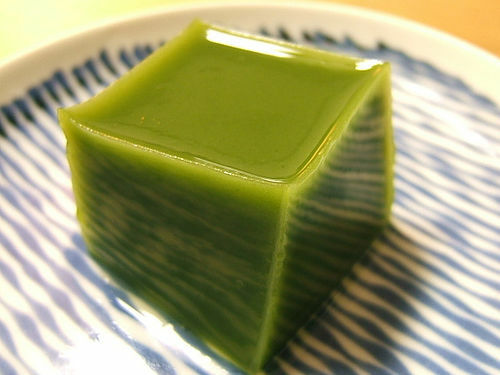 Green Tea Jelly is a cold dessert, favorite among young and old. It is healthy, low in cholesterol and not too sweet. Lovely natural green color jelly that has fragrance tea smell. From the look on my toddler’s face, I knew I had make or bake some yummy food for him since it is a holiday. Like all other toddlers, he loves cookies and jellies very much. Since everything should be green, I shall bake Pandan Coconut Cookie. The word”Pandan” comes from the Malay language which means Screwpine leaf, a long green leaf with a sharp point, almost alike Aloe Vera plant. “Pandan” leaf is usually used in bakery, mix with main course dishes especially Asian spicy food, cold desserts, brewing tea, boil with mungbean and red beans and in making “Nasi Lemak”, a famous Malay coconut rice. In order to retrieve the green coloring, wash the 4-5 pieces of screwpine leaves, cut them into short lengths and pound them with a couple tablespoon of water. Hence, squeeze the screwpine juice into a bowl but remember to use a strainer to filter the bits pieces. 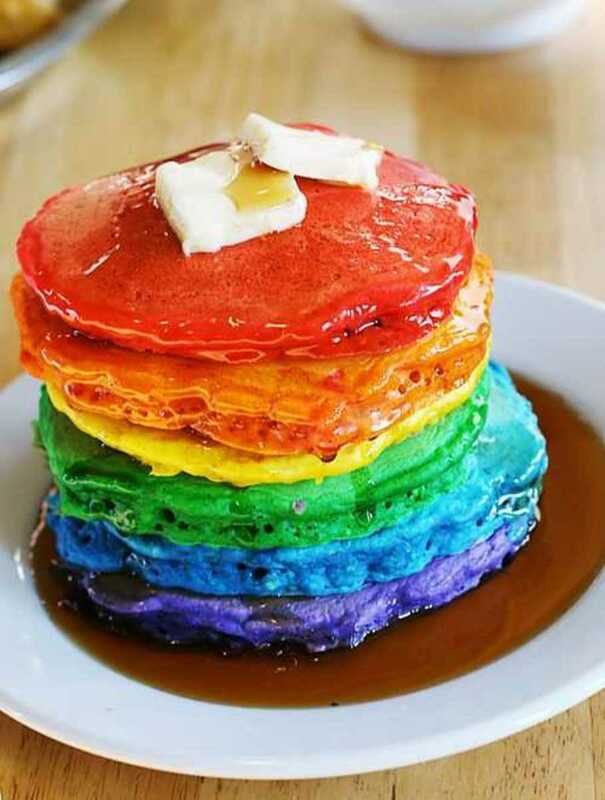 I do not use artificial food coloring in my food because it does not contain any nutritious value. 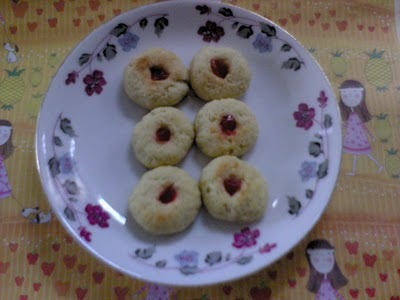 Furthermore, screwpine leaf gives a lovely fragrance to cookies which blends well with coconut shreds. On the other hand, I will be making Green Tea Jelly for cold dessert, a favorite recipe of mine especially on a hot weather season. In order to produce the green tea powder, I will be grinding a bag of green tea ( usual morning beverage for me ) into fine powder form. You can also purchase green tea powder in supermarket or bakery shop which sells bakery ingredients. My family members love Green Tea Jelly because it is not too sweet because I substitute sugar with milk for healthy reason. The jelly does not have the bitter taste of green tea at all. If you have tried green tea ice-cream, that is how Green Tea jelly taste, simply delicious, healthy and low in cholesterol. So here are the links to green recipes. Bon appetite ! 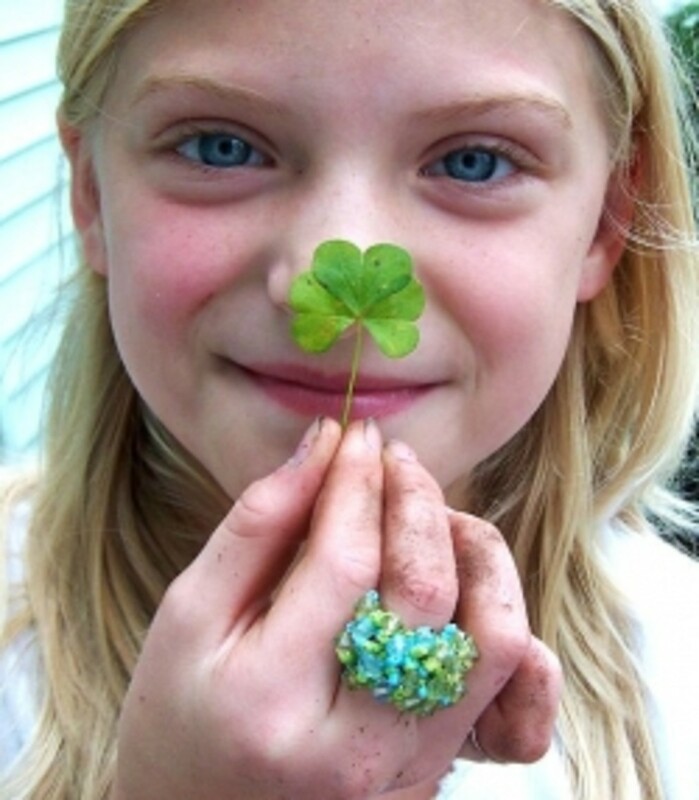 Yes, get the kids to join with you the fun in making a Shamrock Bookmark on St.Patrick's day or any other day. Bookmark helps your kids to know where he had last read his favorite Bedtime storybook or comic book. He doesn't have to make a "dog ear" on the pages, creasing the poor pages which I really dislike. Besides using Shamrock shapes, you can replace it with cartoon character or cut the photos from magazines which is green in color. Make this Shamrock bookmark a memorable craft for him. Allow him to cut if he is 4 years old or older. Let him hold onto the glue bottle and do the pasting. My son loves to join in any craft projects. Does your country or state organize St.Patrick's Day parade? No, my country / state doesn't. Yes, but not every year. Give your garden a fresh look. 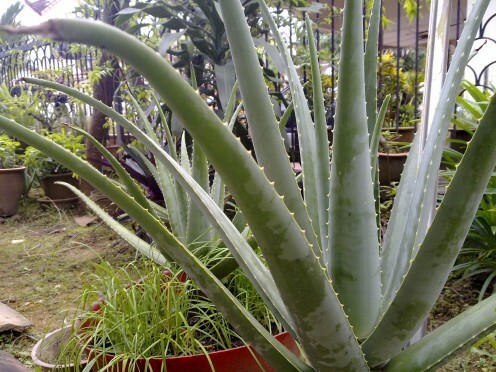 Plant green Aloe Vera, Screwpine Leaves, Tea Tree, Bonsai Tree, or green leave plants for a change. Go ahead, ask your friends and neighbors for free green plants if they have extra ones. In exchange, give them your unwanted potted flowers or excess green plants. In my garden, I have bountiful of green vegetables such as spring onions which comes from shallots, chives from garlic, kaile, spinach, tapioca leaves and salad leaves,just to name a few..
To tell you the truth, I did not purchase these green vegetable seeds. Actually, the secret of how I got them are simple, when you purchase these vegetables from wet market, ensure that the roots are still attach. 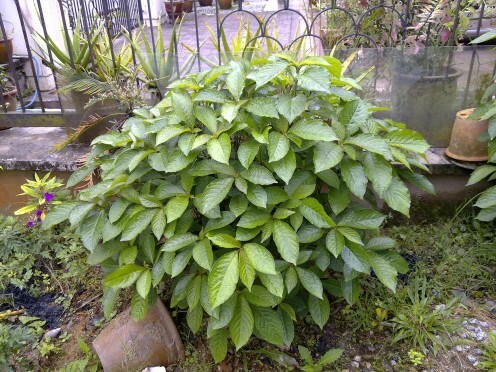 Pluck off the leaves but don’t cut off the stems because you need to plant them in your garden. Use good soil mix with black soil and fertilizer. Water them everyday and you will see some leave shoots sprouting from the stems soon. 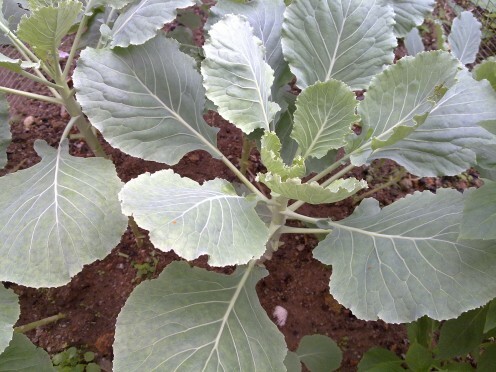 There you have free vegetable roots, free of pesticides, no air pollution and best of all, you will have fresh green vegetables from your own garden with your tender loving care and love. Have dinner at home by whipping an Irish meal for dinner. If you have extra cash in your pocket, go ahead enjoy your Irish dinner at any Irish restaurant.
. I had search various recipe websites and found that allrecipes.com is a fabulous website with a vast number of Asian and Western recipes. Most of them provide quick and easy simple instructions but lack of photos. I planned to cook Irish Stew. As I may not be an expert in cooking either, I would like to give a shot to try out my culinary skill. 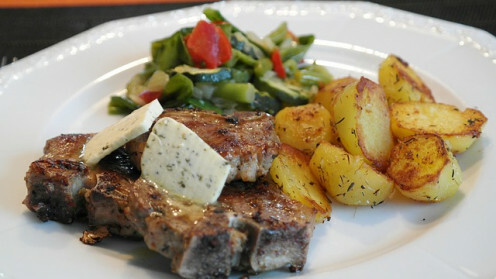 I will substitute the lamb with chicken, parsnip with potatoes and leave out rosemary. My main priority is cook the Irish dish the simplest method and at the shortest time. I don’t want to mess up my kitchen with dirty plates and oily floor. My motto is “Always plan ahead of time”. List all the ingredients that I can’t find them in my refrigerator and hunt them in the wet market or hypermarket. 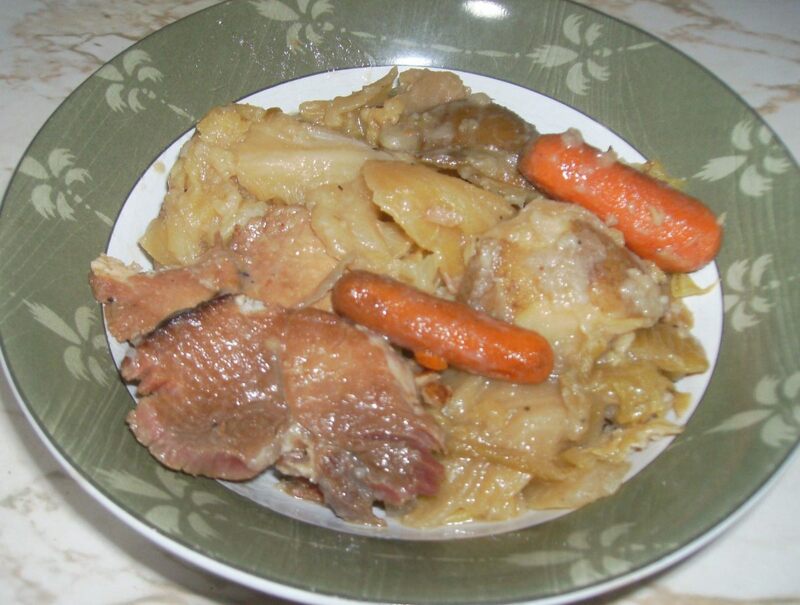 I bet this Irish dish will turn out well, simply looks delicious with brightly color food. Hope that you will enjoy yours too. I love to send special occasions and holiday quotes to my friends and family members. In this way, they will know that I still remember them on special occasions and cherished them very much. 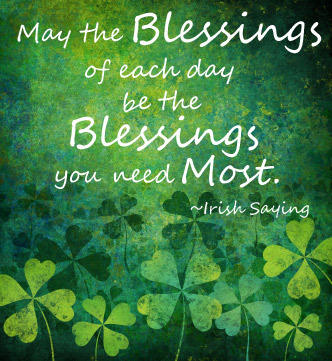 There are various way to send your St.Patrick's Day quotes fast, prompt and save money too. The most commonly used methods are SMS ( handset ), email, e-greetings, postcard, handmade cards or the usual way; make a phone call. I prefer to use the cheapest and fastest method, SMS ( handset ) because I always get a reply from them immediately. French Beans are highly nutritious. One of the function is to help blood hemoglobin production. Vitamin B benefits our spleen and kidneys. They also stimulate sperm production and virility. Tea helps to cool down your body temperature especially in hot weather. It benefits in urination and helps to flush out toxins in your body. Most people here just wear something green that day, if they do anything at all. They do serve green beer and do other things for people who are interested. I've got only a small bit of Irish in my heritage. Great arteilc, thank you again for writing. Glad you like it. I enjoyed Irish stew vy much ! !